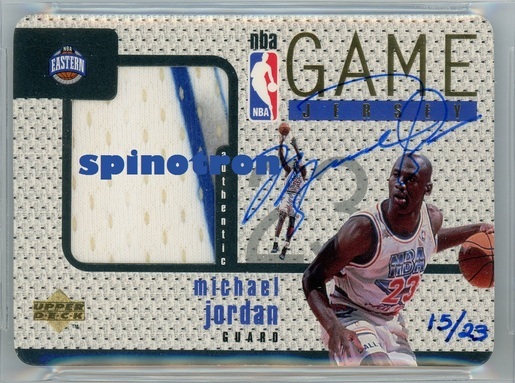 Probably the first MJ numbered auto. If tilting the card, hologram shows players go from serious looking to smiling. Due to the slippery surface on the hologram, M has skips, but it also looks like 23 and resonates well with 23/100, and may well point to an overlooked meaning of MJ auto design. My third jsy number for MJ. Card holder is scratched and needs to be reslabbed at some point. 1997-98 Upper Deck Game Jersey Auto /23 GJ13S. This is probably the T206 Honus Wagner of all 90s cards. 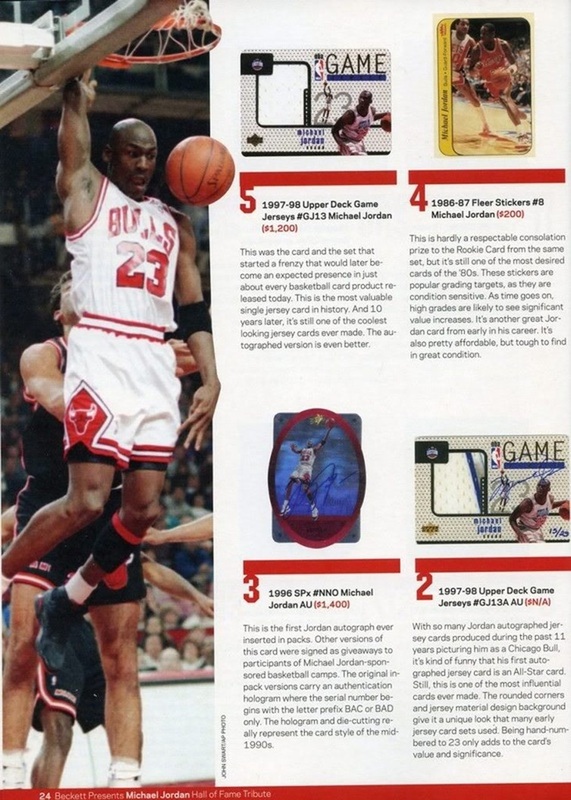 The very same card was used in Jordan's top 23 cards in Tribute issue. 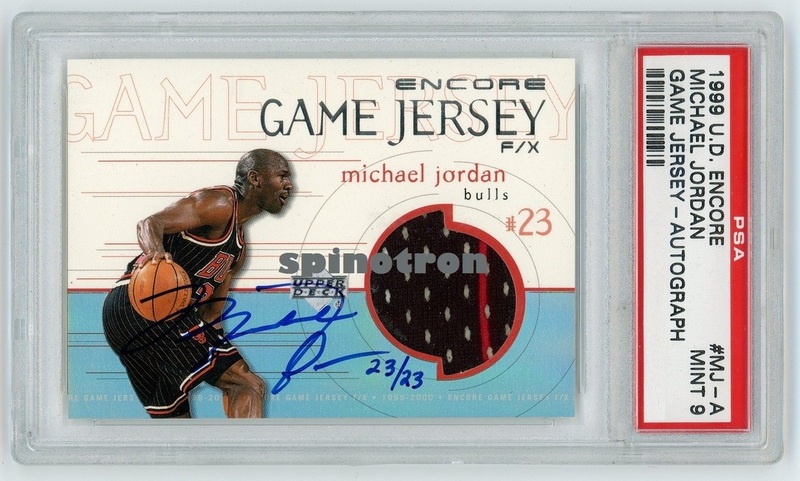 The significance lies in this being historically the first ever auto jersey card in basketball and Jordan's undisputed best autograph. I luckily landed a copy with 3-color swatch and 6 breaks. Probably only 1/23, 3/23, 4/23 and this boast the unintentional conspicuous multi-color jersey. 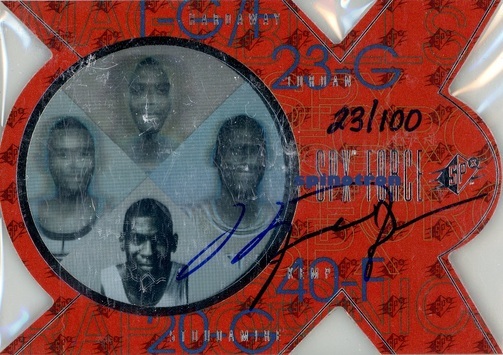 Although UD failed to officially recognize the concept of auto patch cards until 00-01 (where two versions /23 were released), some of his very first auto jersey cards already fit in this category. 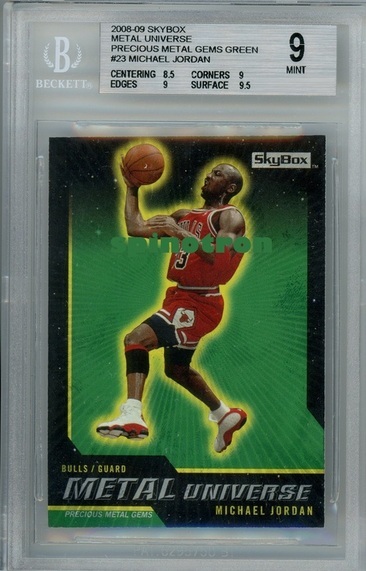 My only Jordan auto so far. The numbering does not mean much, but as 8 is my favorite number (if it is not already apparent), 15+8=23, so it complements my Kobes well. As indicated by images of several other specimens I have come across, it seems that a bold unfaded auto like this one is also a relative rarity among its 23 brethren. In Beckett Jordan tribute issue, No. 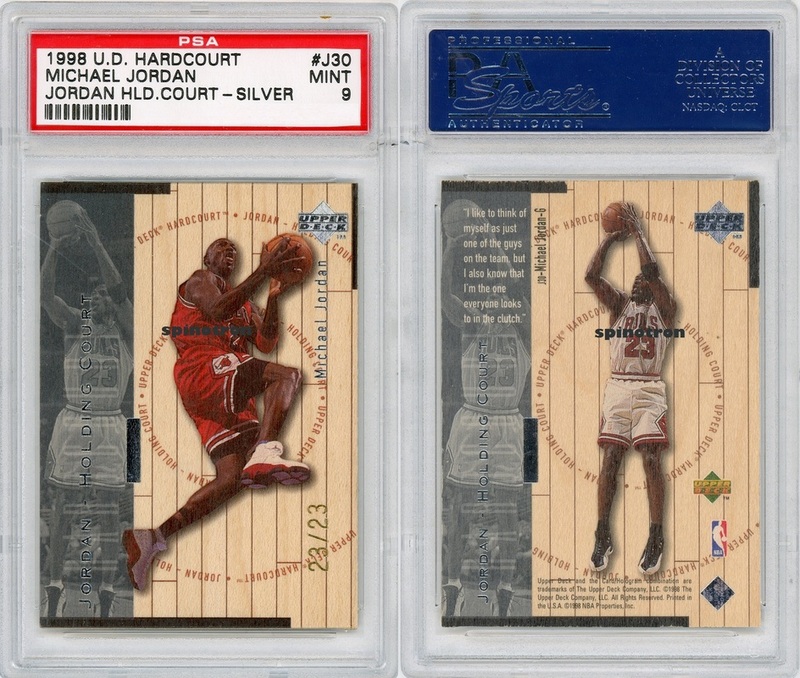 2 of top 23 MJ cards used the exact card shown on the left. 1997-98 E-X 2001 Essential Credentials Now /9. 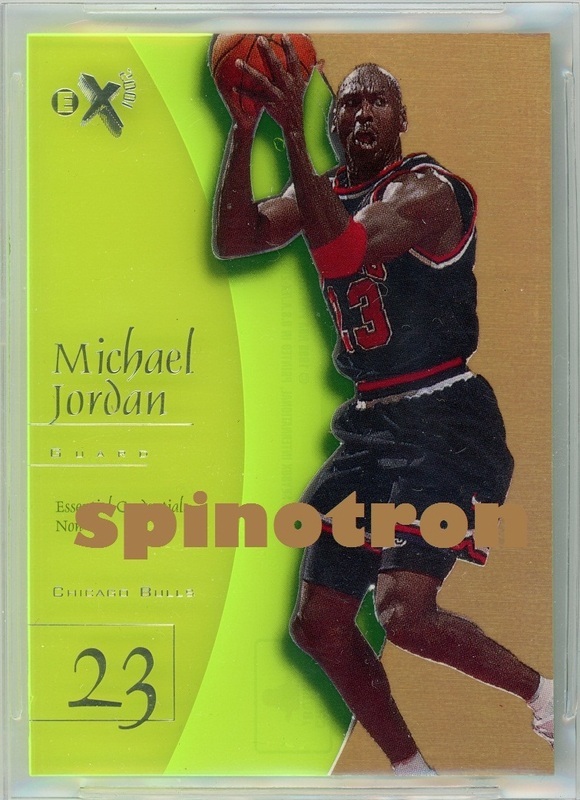 This card is the rarest non-1/1 Jordan card in the 1997-98 (Pinnacle of Jordan's career and first year when limited cards become a standard notion). 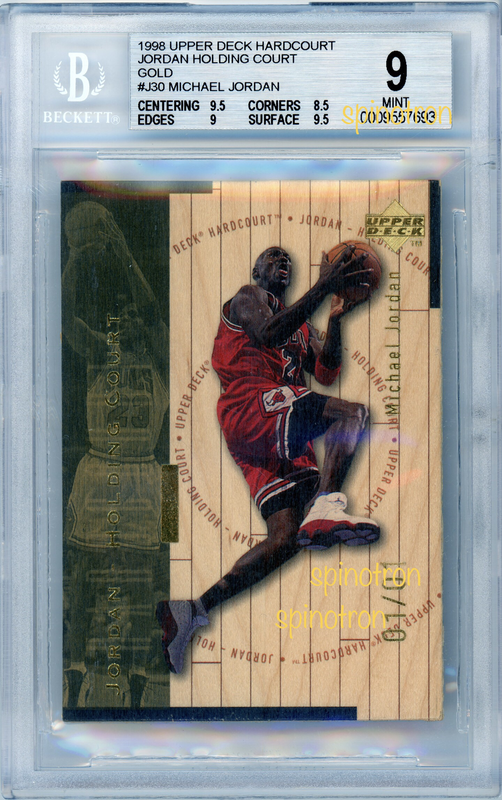 One of top 3 MJ's 90s cards. Glad it has matching serial number with one of my Kobe Credential Now's. 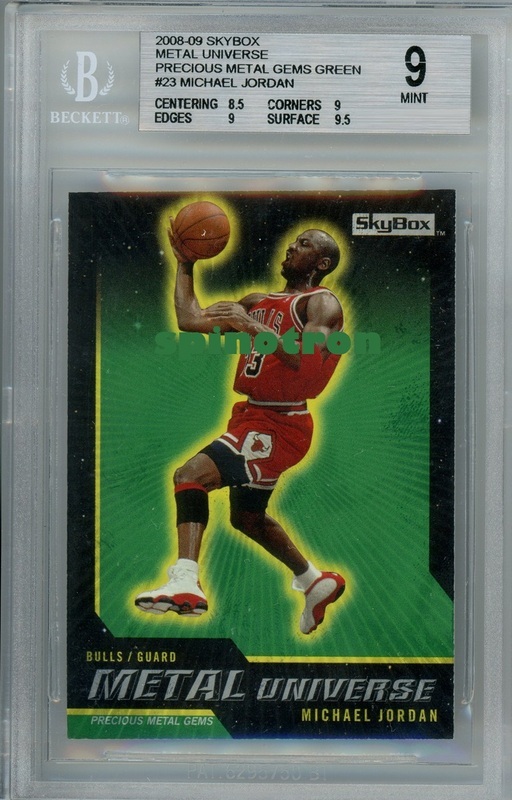 99-00 UD Final Floor 1/1 auto #11. 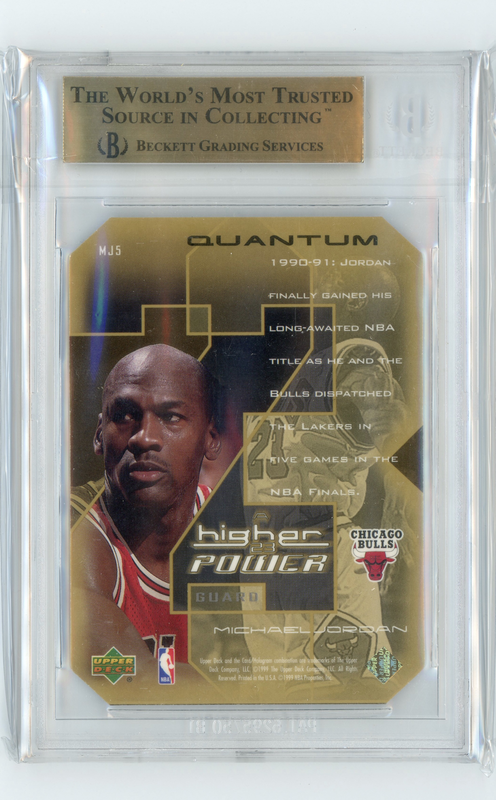 This is very first MJ 1/1 auto issued. There are twelve themes. 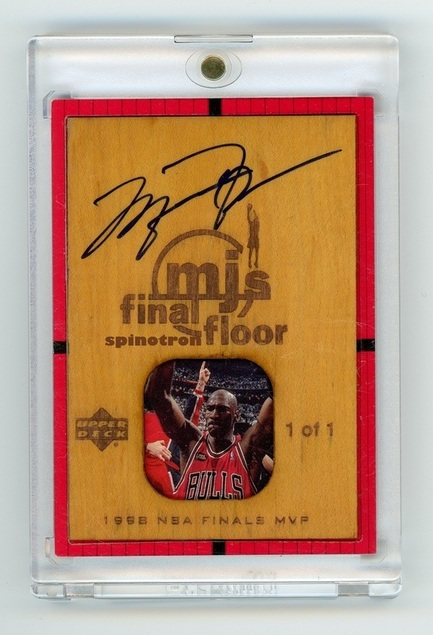 The theme of this card features an epic and famous MJ celebration pic, and the caption is Final MVP, which matters most to players. The gigantic floor enclosed is from 97-98 Final Game 6 where MJ made the last shot, which closed up MJ's perfect Bulls career. 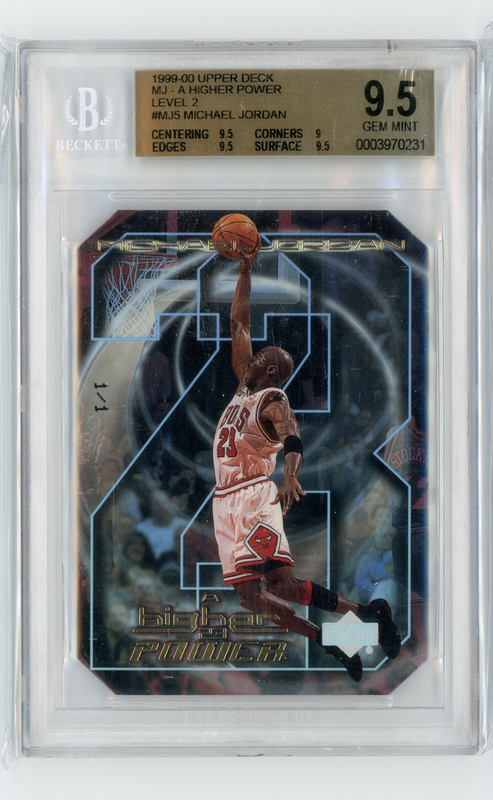 This card showcases a beautiful auto and a crack-free floor piece. # 23/33. One of only two Jordan credential future jsy numbered cards during his playing years (one of only three in all releases from 97-11). Really like the design and action shot. There are GU versions for some of other players. I do not know if I would have liked it more if it were a possibility for Jordan. 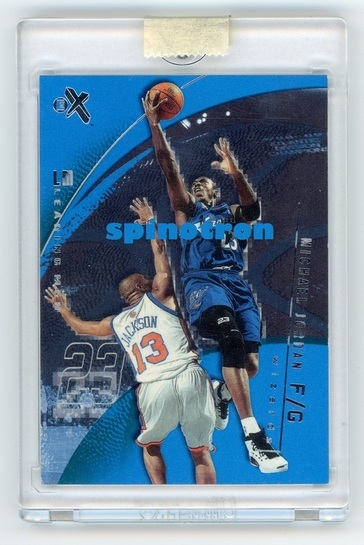 My only Wizard MJ card so far. This card is very classic and yet very understated, because most people do not know about this set due to its rarity. 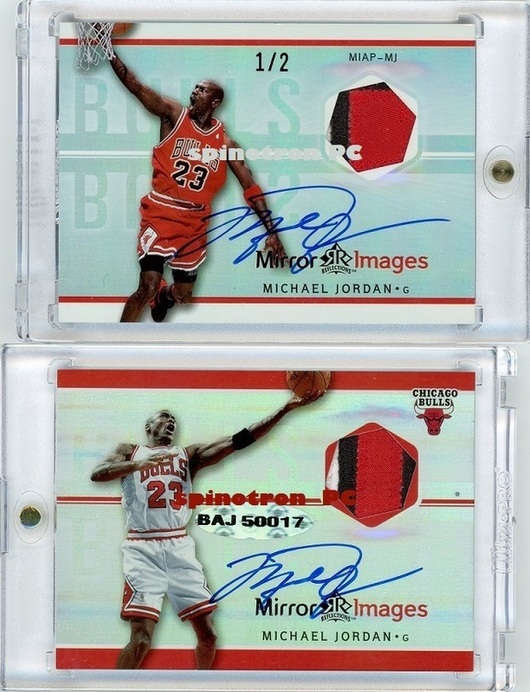 It is the first and only card Jordan signed twice on the same card and the best Jordan /2 card out of 11 possible available Jordan /2 cards (including buybacks) by far. Jordan green from 08-09 release. This is of highest grade, POP 3. Being 10/10, it is the very last Jordan green in NBA uniform. This set is very popular, with the last sale of BGS 9 specimen sold in five figures.